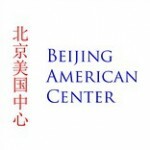 The Beijing American Center, part of the U.S. Embassy in Beijing, is a public outreach space, with frequent cultural and educational events as well as a reading room and multimedia lab onsite, which support exchanges between China and the United States. Operated by the U.S. State Department's Cultural Affairs Office, The Beijing American Center (BAC) is the place for cultural activities, educational resources, and offices which coordinate and support the cultural and educational exchanges between China and the United States. Lectures, discussions, movie screenings and workshops on subjects of mutual benefit to Chinese and American interests. Programs featuring American authors, historians, journalists, distinguished scholars, prominent business leaders and Fulbright lecturers. Administration and coordination of the China Fulbright program which enables selected Chinese academics and scholars to conduct advanced study or research or obtain graduate degrees in American Studies in the United States. Concurrently, China Fulbright also brings American professors to China where they teach American history, political science, literature, business, economics, journalism, international relations, sociology, culture and law at Chinese universities. Administration and coordination of the educational advising materials, English teaching materials and American Studies collections which are provided to selected institutions, libraries, advising centers and universities.